b/w illustrations by Claes Oldenberg, Boris Lurie, Stanley Fisher and Elaine de Kooning. Photos by Fred W. McDarrah. 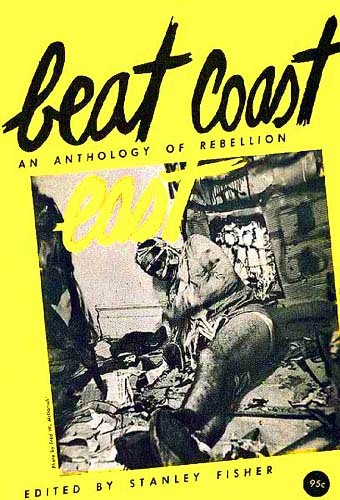 Includes poems by the usual suspects & Beat Legends -- Ginsberg, Corso, Orlovsky, Le Roi Jones, Diane DiPrima, Jack Kerouac -- but also their milieux in NY. That means Ray Bremser, Howard Hart, Stephen Tropp, and Daisy Alden. Norman Mailer essay on Picasso too, and a couple of very cool poems by Hugh Romney, aka Wavy Gravy. Check out reproduction of NO!art paintings by Boris Lurie.